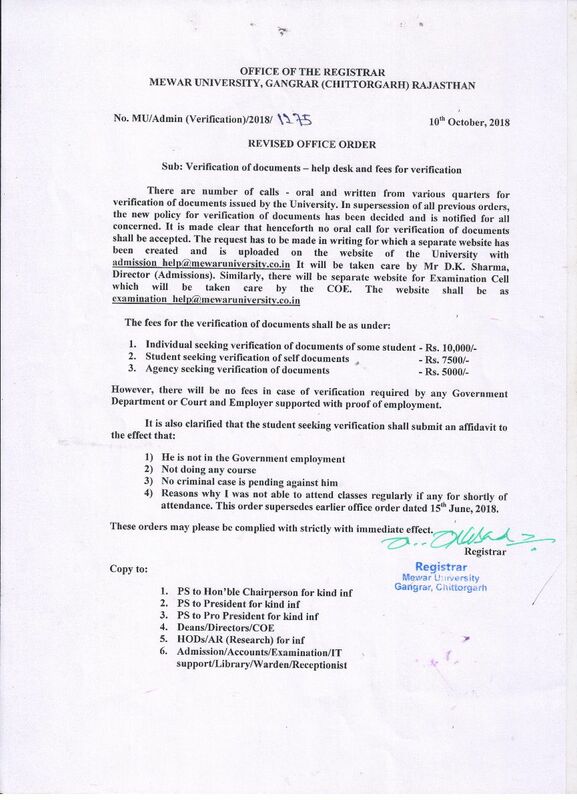 The Students who have passed out in 2017 and 2018 and whose names is not appearing in the above list may come to university personally and get their documentation complete so that after the completion of documentation their names may be added in above list , after that their degree may drawing accordingly. Last date of documentation completion is 05/04/2019. 2. The last day to receive the printed online application form along with requisite documents and fees shall be April 5, 2019. Note:- The Names of Students/Scholars who have awarded degrees at the earlier convocation are available on the website of Mewar University. 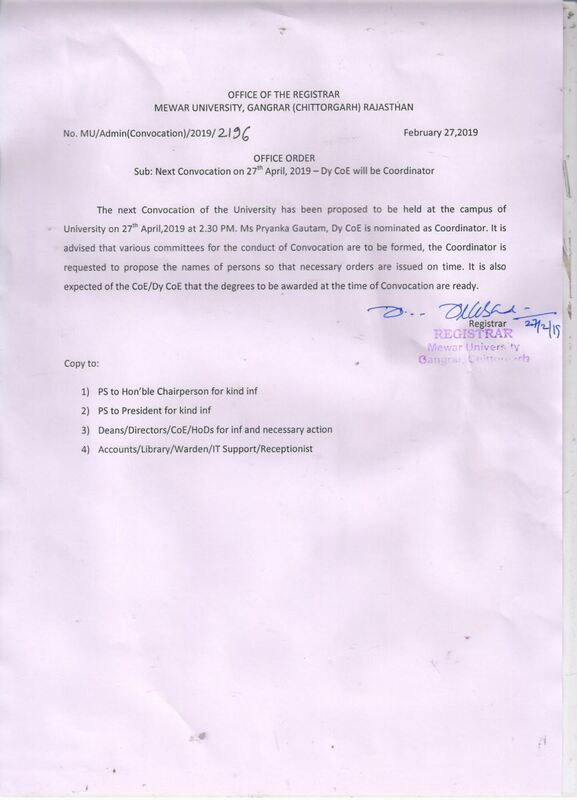 The students/scholars who have completed there course and whose names are not shown in the above list, are advised to please come personally at the University with all original documents and deposit required fees so that there degrees may also be given and their names may be updated on the website.The last date of updation is 5th April 2019.